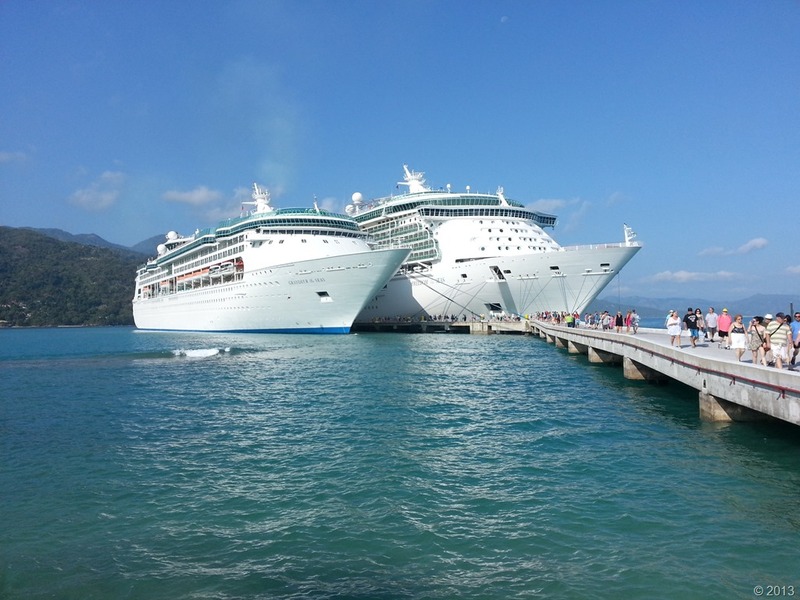 Today we we in Labadee, Haiti docked with the Freedom of the Seas for our last port of call. 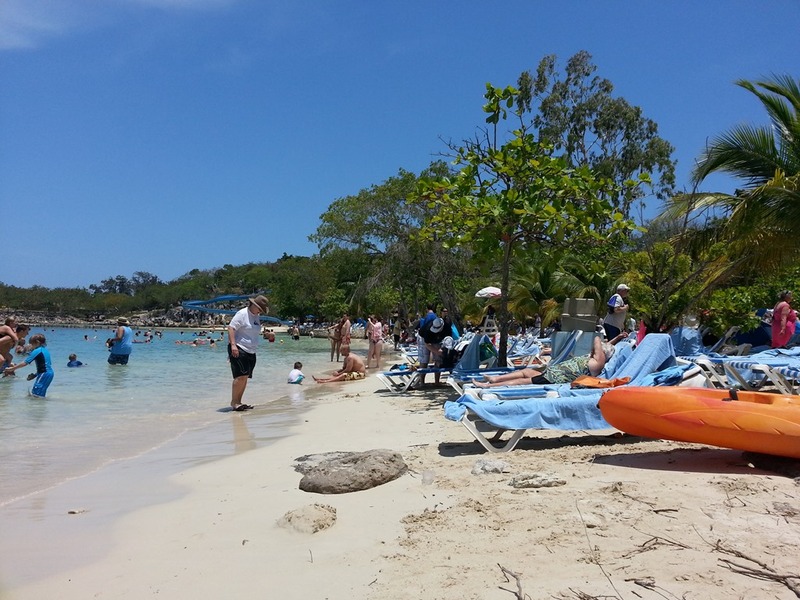 It was a nice beach day in Labadee…. RCCL’s private beach area. We got a couple of lounge chairs in the shade and spent the day there on the beach,in the water and napping. 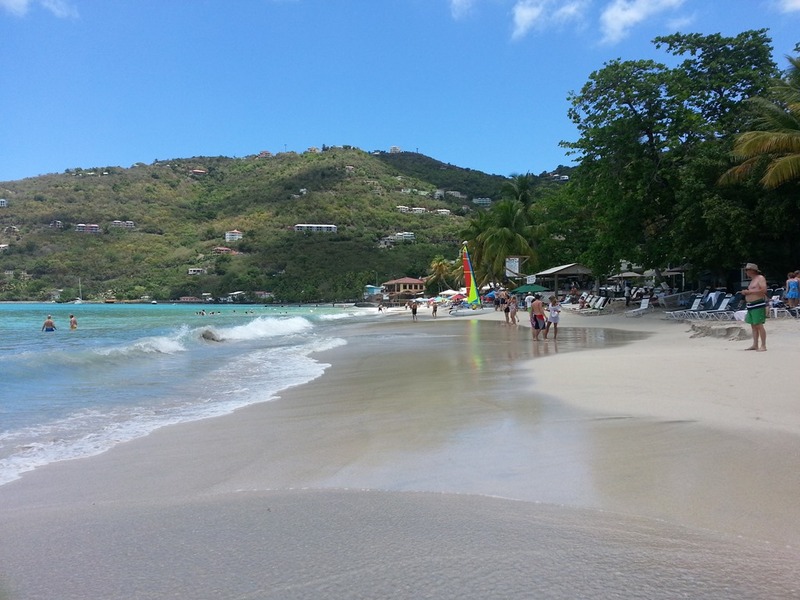 The beach is beautiful…. like a postcard and the facilities are top notch. They take the food off the ship and do a BBQ type lunch and serve it in long pavilions with lots of picnic tables. You can eat there or take it back to your lounge chair. At the end of the day, we visited the artisans market and looked for a souvenir or two on the way back to the ship. Its sad to think that vacation is almost over… but it will be good to get back and see stupid. We worked out a tour with a fellow outside the fence (in a minivan) with some other folks from the ship for $20 each person. He took us to a “ranch” which was like a farm and open air restaurant. We toured the grounds with the guide and he pointed out various plants and fruit trees on the farm. The variety was stunning… Pineapples, bananas, plantains, mango, avocado, chocolate (two varieties), lemons, limes, bread fruit, some root (tubers), coconuts, gourds, and other to numerous to remember. After seeing the plants, they had examples of each item and several for us to try. We could try three fruits and have a chocolate or fresh coffee drink made fresh on the ranch. We also had a local medicinal drink (a fermented wine) Manawa made with the bark of one of the trees…. which was not bad actually. The island seemed very lush with vegetation and had lots of farms. We saw ferial donkeys and pigs on the island in several places. After leaving the ranch, we went to see some local falls. 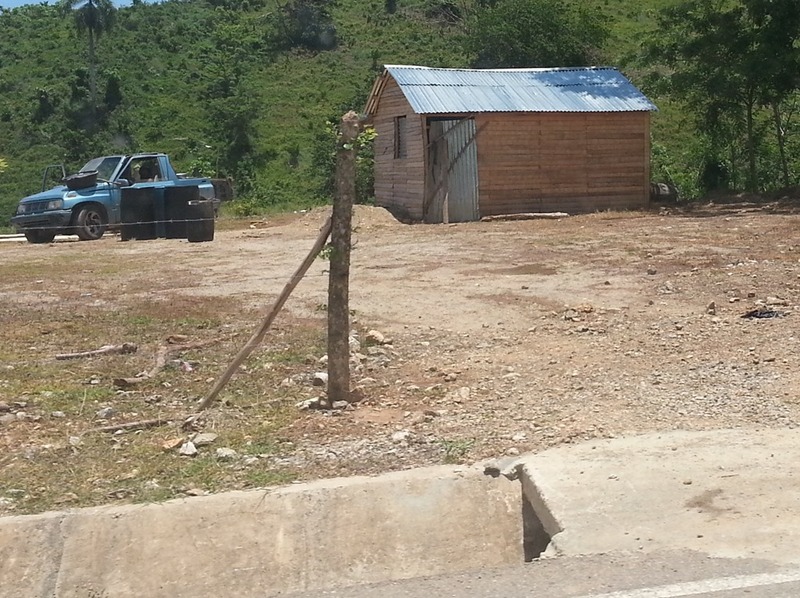 This is where you get to see just how poor this area really is… people are living in little more than sheds. I did see one of these structures (and structure is a generous word) with a satellite dish on the roof! Once we arrived at the falls, we walked through some open air structures where people were selling stuff and picked up our “facilitators”. These were girls between 15 and 25 that would hold your hand or steady you as you crossed two streams on sand bags in the river. They looked very uniform in yellow polo shirts that said facilitator on the back. 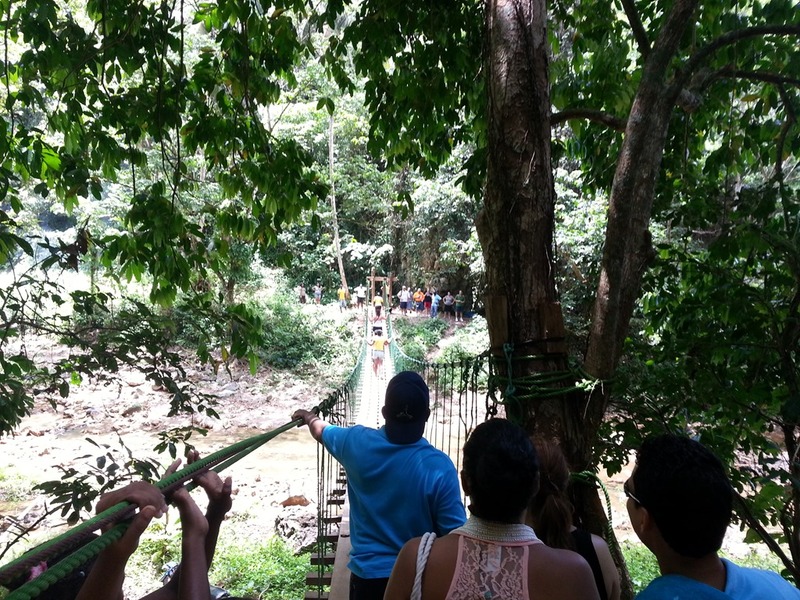 The guide explained that it was customary to tip them when we returned from the falls. You walked on the bags and they walked in the river barefoot. Going up or down some of the steeper hills they also provided assistance as well as lots of encouragement to people when crossing the rope bridge above. Mine had a grip on her that was unbelievably strong. My girl attempted to talk to me and pointed out things along the path. The falls looked nice and we could swim there if we wanted, but I did not feel like it was worth the risk. There were several facilitators at the base of the falls that had casts on their arms…. and you could tell that these people did not have much. I probably gave too much of a tip at the end of the walk $10… some people did not give them anything… while it was an unexpected expense on this tour I could not see giving nothing, but it did affect the guides tip at the end because I had four ones and two twenty’s… and he wasn’t getting a twenty. After leaving town, we drove back to town and drove one of the older areas of town and into the market. Most stalls were close so it was not really worth stopping, but we can say we saw it. I don’t think I would have enjoyed it if it was crowed…. it seamed like the kind of place were you could loose your valuables in a hurry if you were not careful. Back on the ship, we had a nice lunch and enjoyed the pool and hot tub during the late afternoon. We are now on our way to Haiti to RCCL’s private beach area. 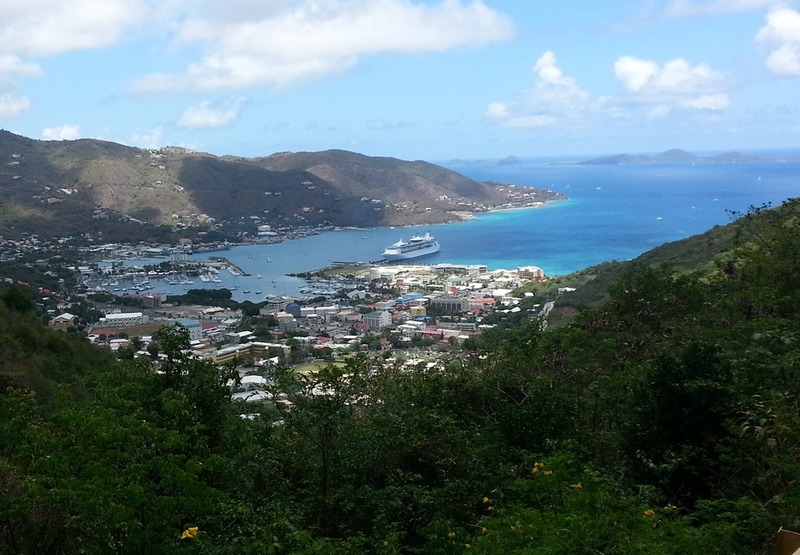 Tortola was the most scenic island we have seen to date. Getting off the ship, we were not swarmed by folks wanting you to buy this or that…. it was very civilized. We spoke to a woman from the tourism board and it was $12 each to go to the beach and $24 each to take a 2 hour tour on an open air “bus”. All the “buses” were trucks with their beds turned into bench seating with a tarp over the top… it was better than it sounds. We decided to walk into town and see what was there first before deciding what to do.. Its Sunday so a lot of the shops were not open; however some were and we did some browsing and visited the spice shop. We had talked to a guy running the same kind of bus as they had inside the gate but was willing to do the same basic tour for $15 each with an hour at the beach. We decided his would make the best use of our time on the BVI. So we got on Captain Friendly’s bus and had a blast…it was a good decision. He showed us Black Beards Island and explained the origin of the pirate song. The next island over was “Treasure Island” this is the island that inspired the story / book. He gave us the back story to this as well and pointed out spy glass peak. 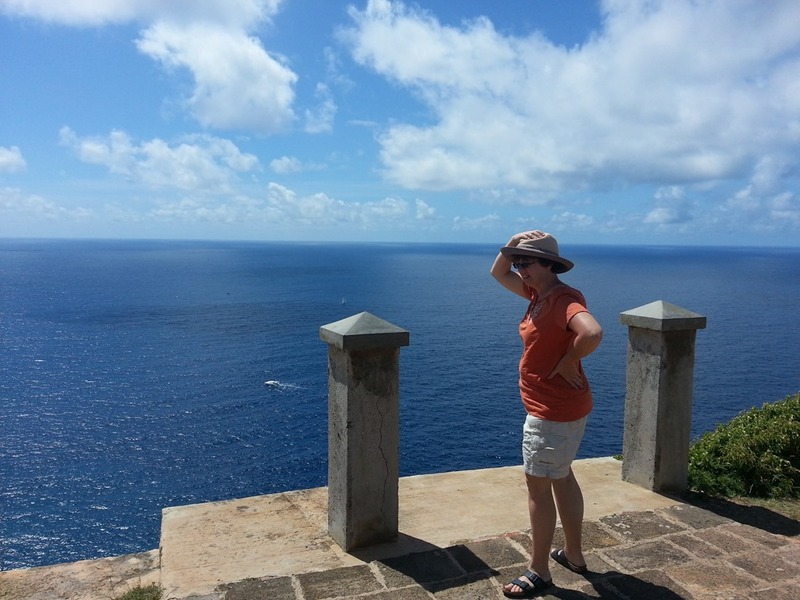 After this stop, we started climbing the steep grades of Tortola crossing from the Caribbean to the Atlantic side of the island. We would stop periodically for a photo opportunity along the roadside. 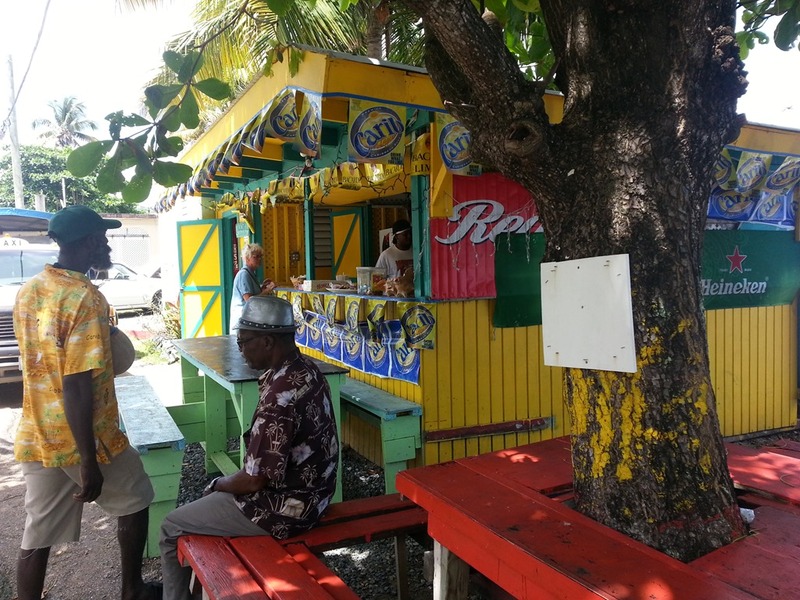 After descending to the Atlantic side we stopped in a typical island village (he had friends there) at a road side stand. We were able to walk around a bit visit the local grocery store… it was the size of a 7-11 with only the essentials. We got some Ginger Beer (its like a root beer / ginger ale cross - it was very good) and some crackers. We watched the waves and got more local culture information from Captain Friendly. 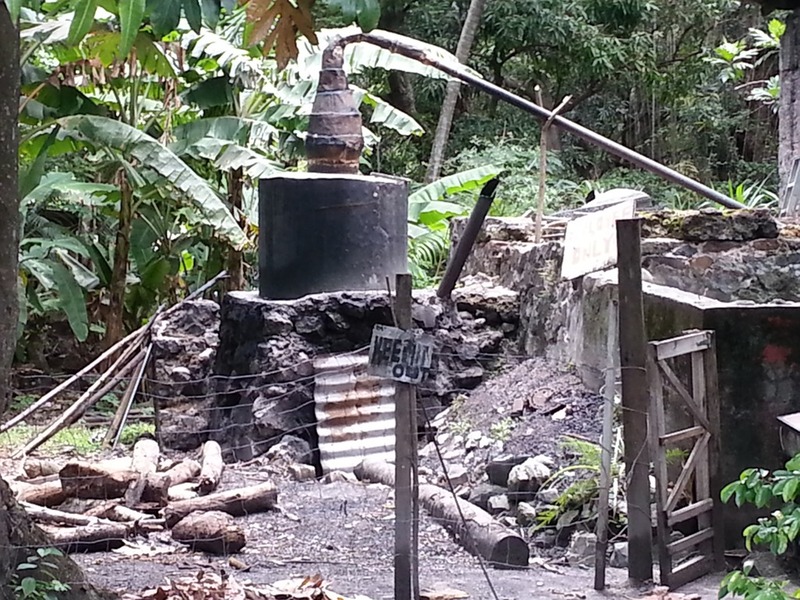 Our next stop was the local Rum Distillery…this looked like it would be right at home in Appalachia. This place has been in operation for 400 years. For a $1, you could get a shot from each phase of production (White Lighting, 5 year old barrel aged, 10 year old barrel aged, and sweet (this had sugar cane in the bottle to add sweetness). This was one of the more relaxed islands we have visited. Where some of the islands you get swamped when you get off for a taxi or to buy this or that it was not so much on St. John’s. Which surprised me since we were the only ship in port on this day (the port looked like it could handle four ships easily right in down town). You could get off and browse and the people were helpful, but not in your face to make a purchase. We were greeted off of the ship by a steel drum band that was really good. We walked down to the end of the cruise pier just to look around a bit…. there were many colorful fish right at the end of the pier. 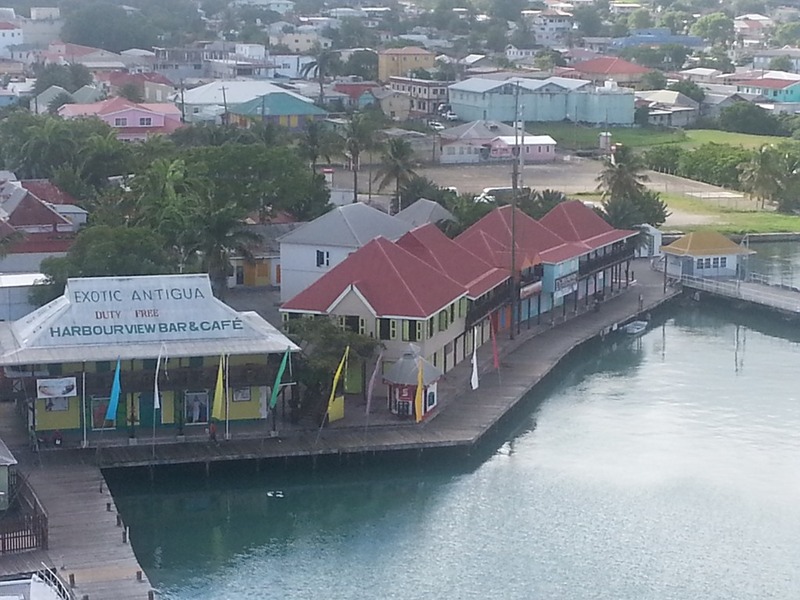 We took the ship tour “Best of Antigua” and it was good, but not fantastic. I felt it gave you a good overview of the island, the only thing missing was a beach stop. We saw the block house ruins, Shirley Heights (another old British fortification), and Nelsons Dockyard. The dockyard is the last Georgian Era dockyard still in service and was by far the best stop overall, but the others provided great views. Since this was “Race Week” there were lots of sailboats in port and on the water today. I got my passport stamped in line with the racing crews that were checking in and clearing customs. It was kind of neat being in port during the event. At the end of the dockyard tour we got our choice of rum punch (151 proof rum which is made on the island) or a soft drink. I got the rum punch and it was strong, but delicious! We got black pineapple tarts from the dockyard bakery and were they food and sweet! We sat under a flaming tree in bloom (mimosa tree in the us) and enjoyed our pastry and drinks before boarding the bus back to the ship. 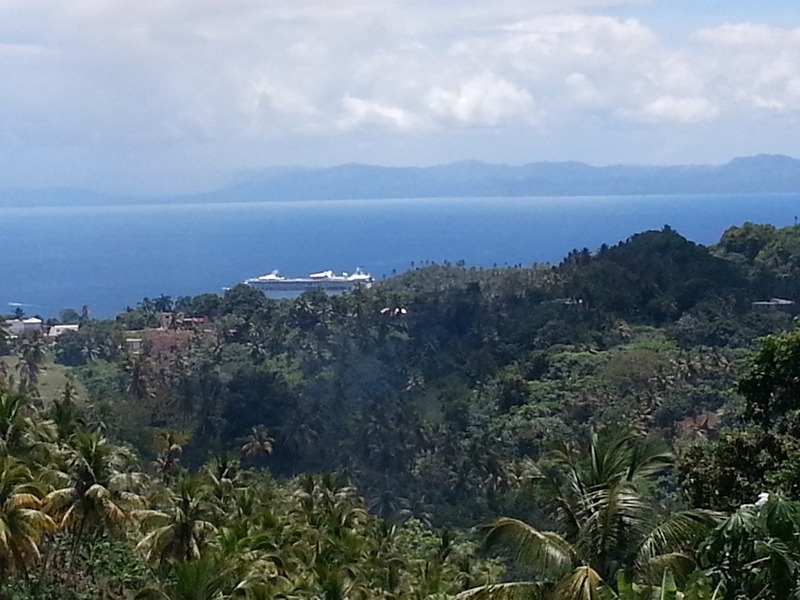 The tour guide said that this was pretty much the end of the tourist season for cruise ships. The next (and last one) comes in to town in 20 days. What a difference a day makes! 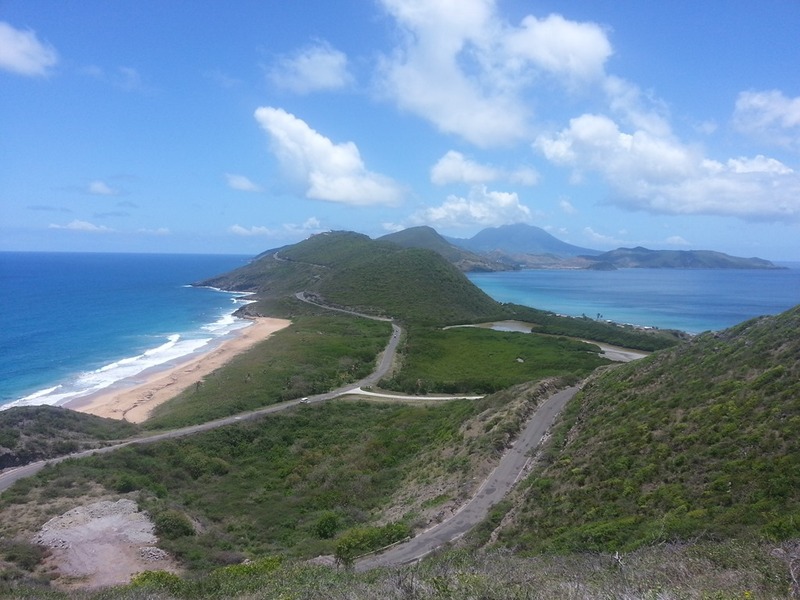 Today was St. Kitts and we booked a tour through the ship for today. 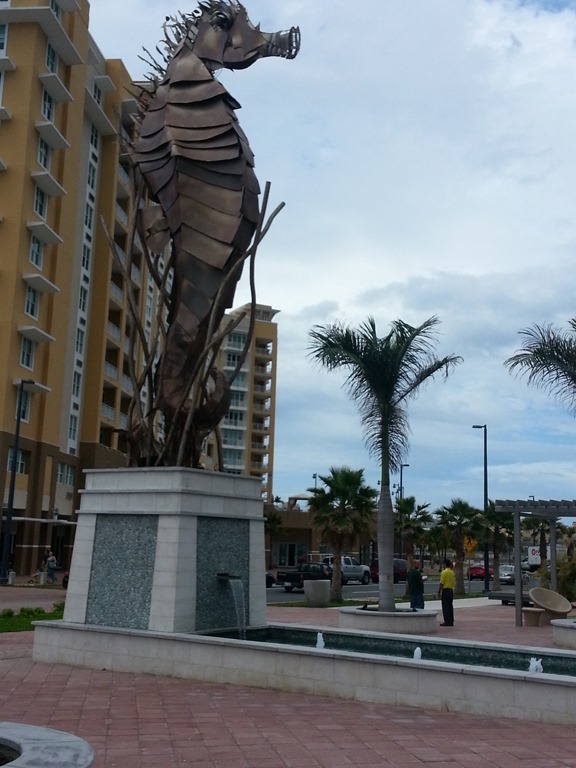 Our tour started at 9:30, so we had time to walk the port shopping area early. There were guys with monkeys everywhere….. they would want you to hold their monkey and take a picture for a fee. These monkeys were about 7 months old… in two years they are fully grown. While we did not hold any monkeys, we did get a couple of pictures. 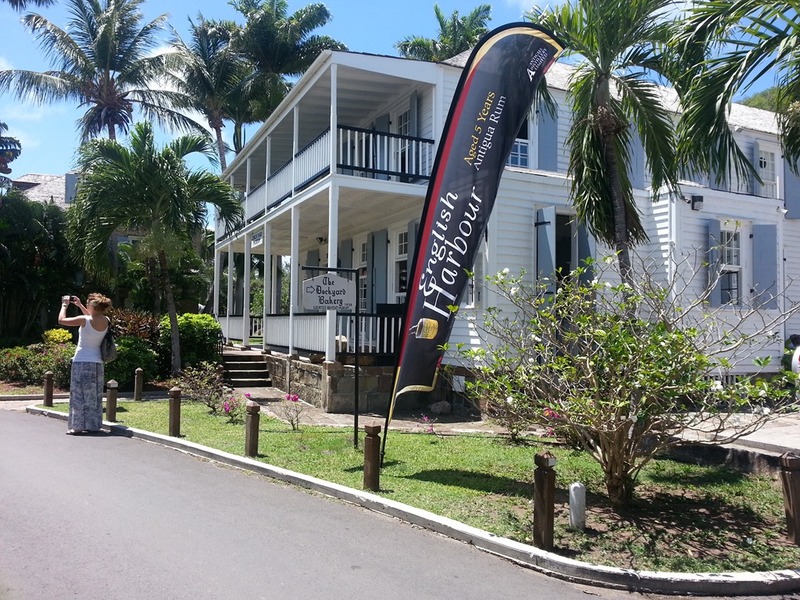 Our tour took us to a couple of different places, the first was the Clay Villa Plantation which was a wonderful place. The tour is given by the owners (they live in the house with their children) and the gardens are just amazing. The tour was informal, but fun and the views, flowers, and animas were worth the visit. We bought a very nice locally made bird house made out of a grass type plant (it has the look of straw but stronger). 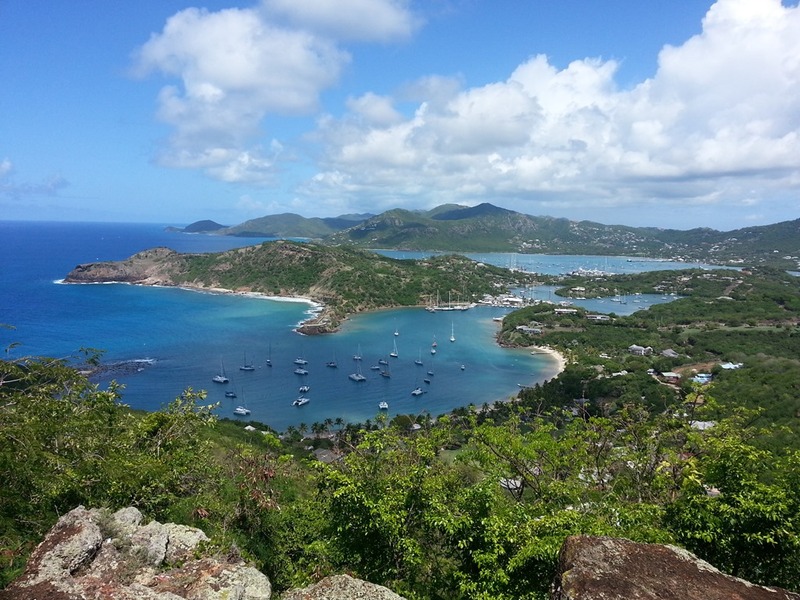 Following the plantation tour, we went to a perch overlooking frigate point. You can see the Atlantic Ocean on the left and the Caribbean Sea on the right. Following this stop, we went around to right side and spent an our at the beach. It was very nice except the darker sand was hot on your feet. I found some live sand dollars right were we were swimming… they are not white when they are alive. After the tour, we came back and had a late lunch and hung out at the pool for a while before getting ready for dinner. Tomorrow St. Johns. Today was a day at St. Martins. The ship came into the Dutch side of the port. We were docked with 3 other ships: Celebrity Summit, Freedom of the Seas, and Holland American. The island and port were beautiful. We felt a little trapped in town…people were not very helpful when asking direction or about how to get around. We were told about a ferry to the French side of the island (it was also in our guide book) but no one could tell me where to get to it. Diamonds International was sponsoring a water taxi ($7 round trip) that would take you from the cruise ship pier to the main shopping district; however I found out later that you could take a 10 min walk and get there too. In town you kept getting approached to but jewelry (everyone was having a 75% off sale – I know amazing right). We did some tourist shops, but there is only so much of that you can do. After walking around for an hour or two, we had lunch at McDonalds and enjoyed the air conditioning for a bit and then headed back to the town center. We talked to a cab driver in town who was going to give us the discount tour rate to take us to the other side $70…. and if we were happy with the service and wanted to pay him the full rate of $90 he would be very happy. On a lighter note, if you wanted two chairs, an umbrella, with five beers… that was $20 ($15 without the beers) and both options included free bathrooms. The bathrooms were free at the end of the pier. 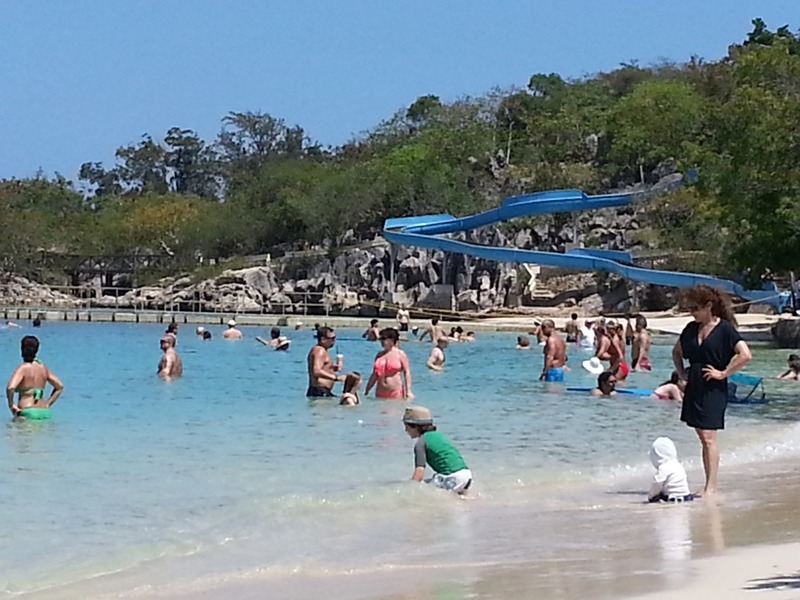 Next time in St. Martin’s we will do the ship tour of the island $24 each – included Dutch and French side + beach. A much better option in this port. After walking into the early afternoon, we headed back to the ship and sat in the hot tub, took a dip in the pool and then got ready for dinner. St. Martin is a beautiful island… and if you don’t want to sight see, the beach is perfect and its practically right at the ships door. 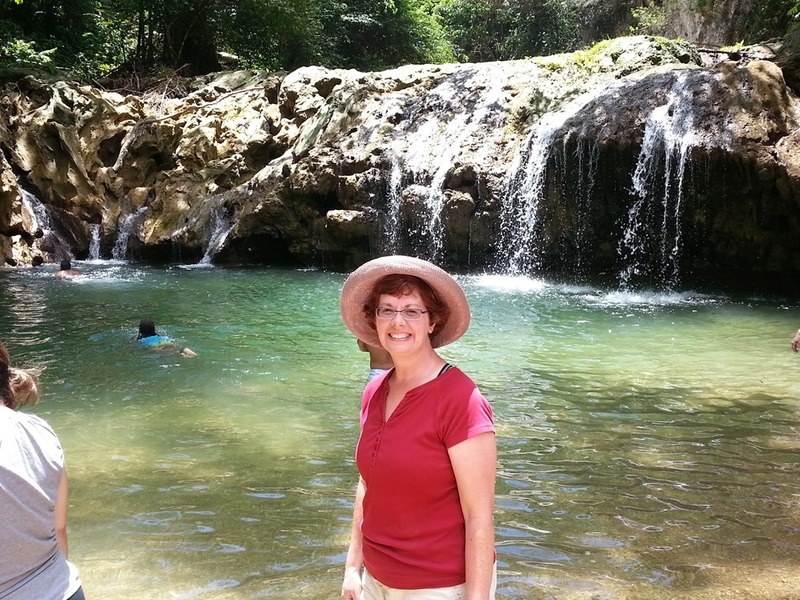 Puerto Rico is one of my favorite places to visit…. there just seems to be so much history here. We learned some new thing in customs and immigration exiting the ship…you must have an “in transit” card from the ship if you are coming ashore between cruises if you are arriving from a foreign port. We found out when walking though the terminal with another couple doing a back to back as well that we needed this form to clear immigration; and then had to to go back through customs and find someone from the ship to get our in transit cards. Once out side, we got stopped by a tour operator who was willing to give us a reasonable price for a day long tour seeing most of what we wanted to see. We decided to go with him and got on his bus with three other couples and then the guy disappeared. We sat there for about 20 min and then he came back with another couple and then disappeared again…. he was working to fill his bus before leaving. I had decided I’d had enough and we got off and caught a cab with another couple $5 each plus a tip so not bad. 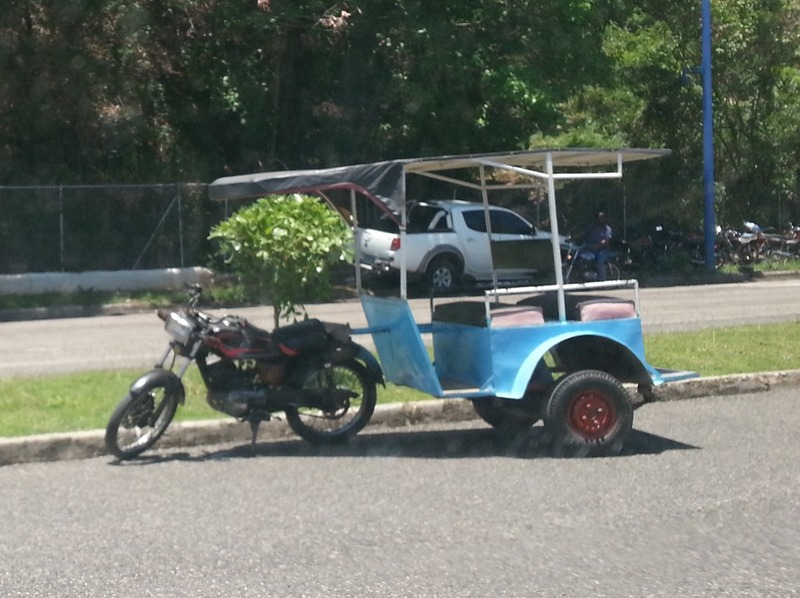 Once in Old San Juan, there is a free tourist shuttle that will take you around – hop on and off as much as you like. The National Park Service also has some kind of tram that goes to the downtown and the forts. The beautiful thing forts was its National Park Week… so there there is no entry fee to any of the forts today. 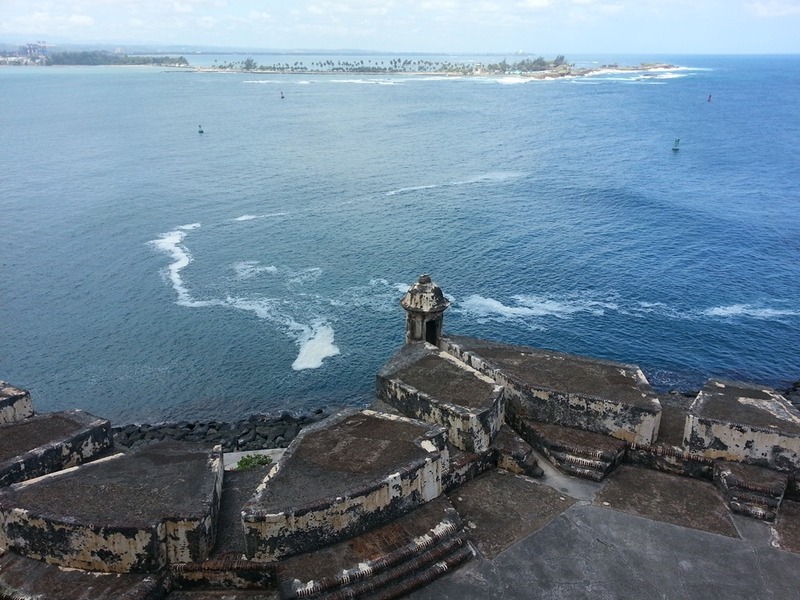 We saw the two largest forts (Castile and El Morro) both are impressive fortifications. You could spend a whole day just exploring these forts between the tunnels and ramps, there are many different levels to see and a new view around each corner. The only bad thing is that it is very hot if you are walking around midday – and it will drain you. 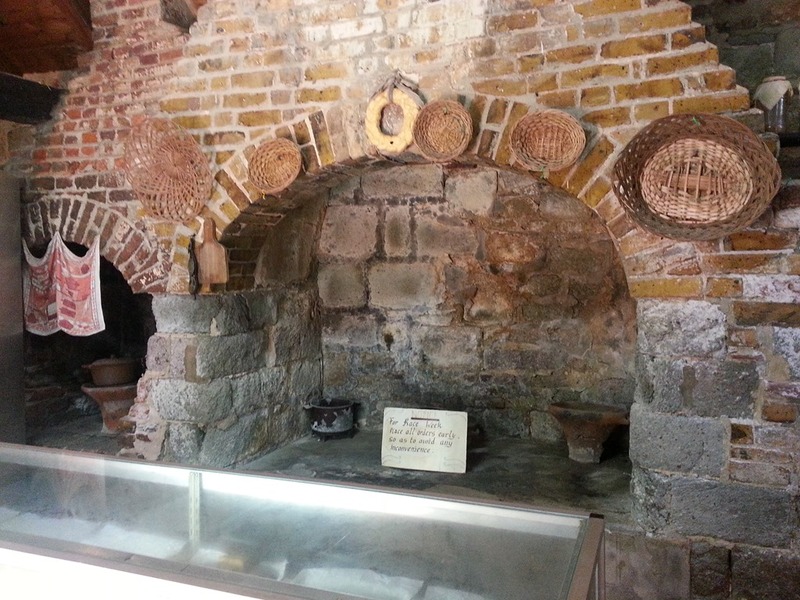 After seeing the forts we road the bus over to old town to have lunch and walk around a bit. We were looking for something authentic that had a bit of a variety. Which we found to be more of a challenge…. Bethany took a recommendation from some other tourists to go to Sr. Frogs, which was not what we had in mind, but I was hungry and my good humor was waning. I did not want to walk around for another 20 min looking for another place. My impression of Sr. Frogs was very noisy, poor service, dirty restrooms, and average at best food. We ate and then got the heck out of there. We road the bus around a bit more to see the rest of old town and then walked into a couple of shops. There was one about a block off the water that had awesome carved art and wood chests. The work in this shop was worth what they were charging…basket weave trunk for $1,200 and they would ship it back to the mainland for you. We walked down to the main port area and then walked along the sea wall back towards the ship before catching a cab back.